Corinne’s big sister, Astrid, has always looked out for her, even if Astrid believes Corinne has favor with their parents. But Astrid has a secret. She confides to her younger sister her plans to leave the tiny town of Cherbourg, France to become the first colored fashion designer in New York City. She’ll finally be on her own and rid of the family’s strict rules. The sisters become mortal enemies and vow to hate one another until the day they die. That day may come sooner than they think. On April 10th, 1912, the family boards the beautiful Titanic on a voyage that will change their lives forever. 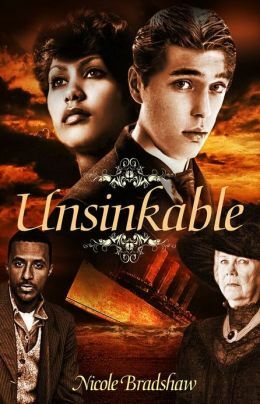 A Bond Broken is the prequel novella to the novel Unsinkable, which tells the fictitious story of the only black family on the doomed ship, the Titanic. Her first upper middle grade novel, Unsinkable, will be released May 21, 2013 by Simon & Schuster/Strebor Books. Unsinkable gives the day-by-day account of the only black family aboard the doomed Titanic. The prequel novella, A Bond Broken, is an e-book that will be released April 16th for the anniversary of the sinking. Both novels were written in her penname, Nicole Bradshaw. Her first picture book, Cassi da Conch, will be released by Xist Publishing in 2014. For more information check out www.writernicole.com and Facebook.